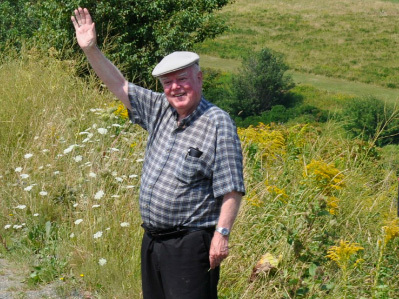 This review is in commemoration of Alistair MacLeod (July 20, 1936 – April 20, 2014), the “bard of Cape Breton,” whose voice has been silenced in life, but his meticulously crafted stories will live on as long as people enjoy outstanding literature. 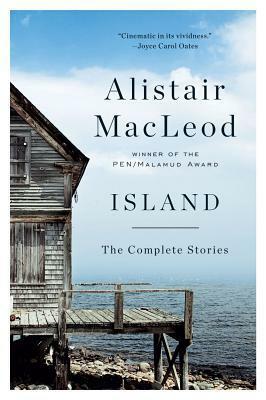 A thumbnail synopsis: The sixteen exquisitely crafted stories in Island prove Alistair MacLeod to be a master. Quietly, precisely, he has created a body of work that is among the greatest to appear in English in the last fifty years. A book-besotted patriarch releases his only son from the obligations of the sea. A father provokes his young son to violence when he reluctantly sells the family horse. A passionate girl who grows up on a nearly deserted island turns into an ever-wistful woman when her one true love is felled by a logging accident. A dying young man listens to his grandmother play the old Gaelic songs on her ancient violin as they both fend off the inevitable. The events that propel MacLeod’s stories convince us of the importance of tradition, the beauty of the landscape, and the necessity of memory. 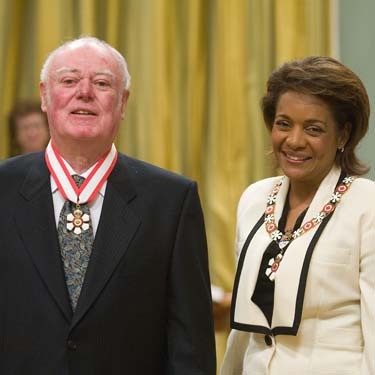 Alistair MacLeod reciving the Order of Canada from Her Excellency Michaëlle Jean, 27th Governor General of Canada. There are only two ways one can go with a review of Alistair MacLeod’s works, i.e. short or long. While not a prolific writer—his one novel, “No Great Mischief” is his only lengthy work—his sixteen short stories, ranging from 1968 to 1999, are nuggets of the writer’s craft. Brought together in a single collection with a simple, but oh-so-appropriate-name of Island: The Complete Stories [Emblem Editions, December 3, 2010] they represent his evolution from an academic style of writing—i.e. tight, and word-perfect—to a more open form without loosing any of the precision. I think what stands out about Macleod’s stories is the indisputable fact that he understood his characters. The same thing applies to his beloved Cape Breton setting, which is a continuing theme in all his stories, and which both challenges and shapes the people who cling to it. Nonetheless, set against this rugged background is a quiet sort of love (of both people and loyal animals) that prevails in spite of the challenges. Like the wife who keeps an anxious vigil for her overdue husband until the trees seem to take on human forms to move in her direction. 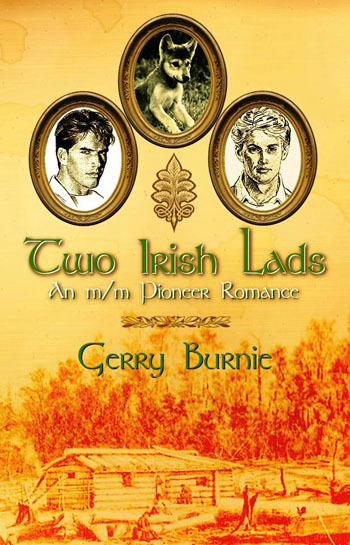 There are also tales of family, like the miner who laments that his sons will probably leave the island to pursue an easier life ‘down the road’, and of the pull of ancestry versus fading memories and evolving attitudes. There is something for everyone in the collected works of Alistair MacLeod, but most of all it is a celebration of excellence in short story genre. Five bees.